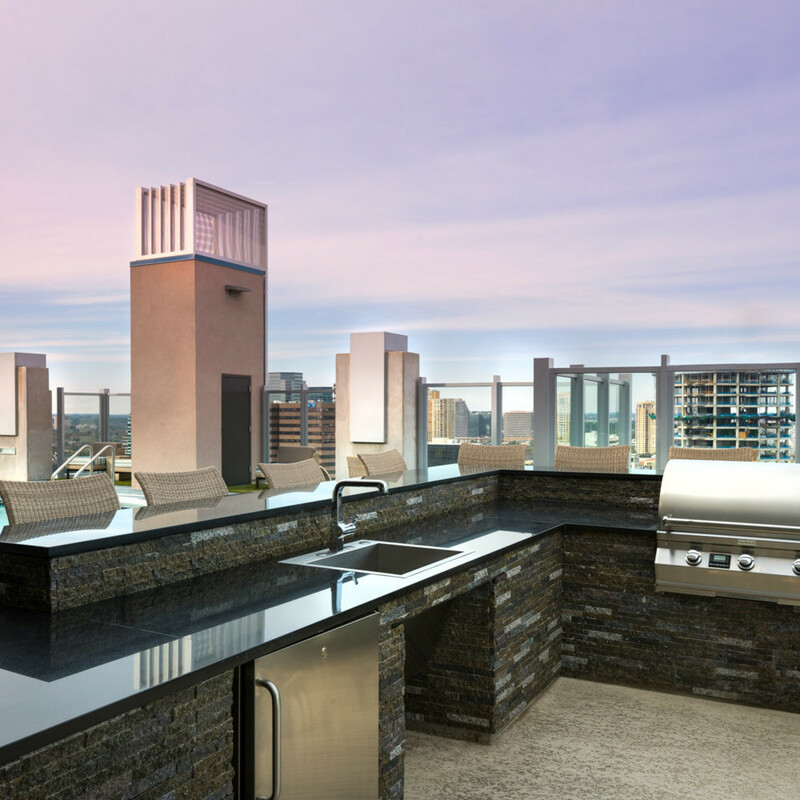 It's a fine balance: wanting to live close to everything but still be removed from the noise and crowds that inevitably come with urban living. 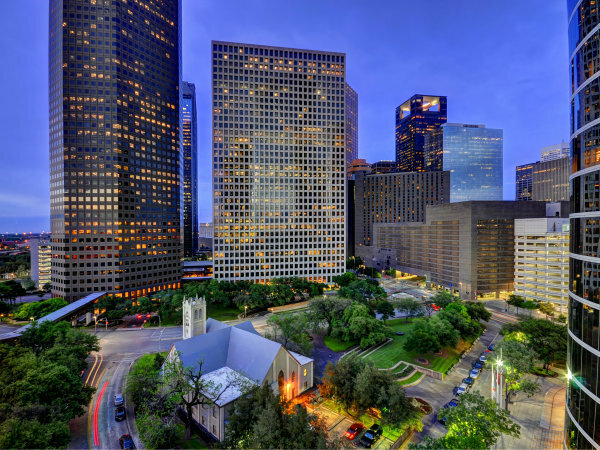 For Houstonians who are looking to achieve this perfect home equation, SkyHouse River Oaks couldn't be better situated. 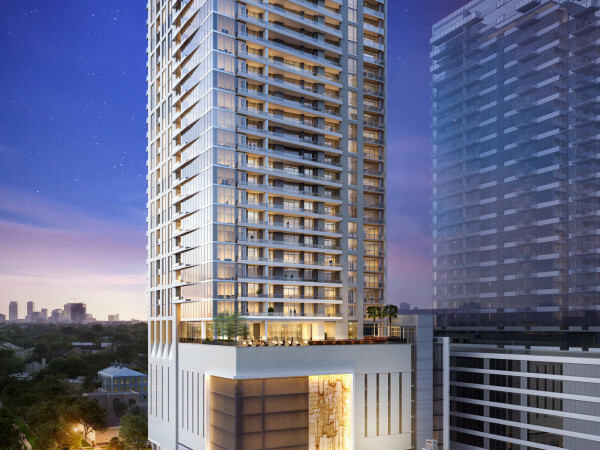 The luxury apartment tower is just inside the loop, straddling the serenity of River Oaks and the bustle of lively Uptown. 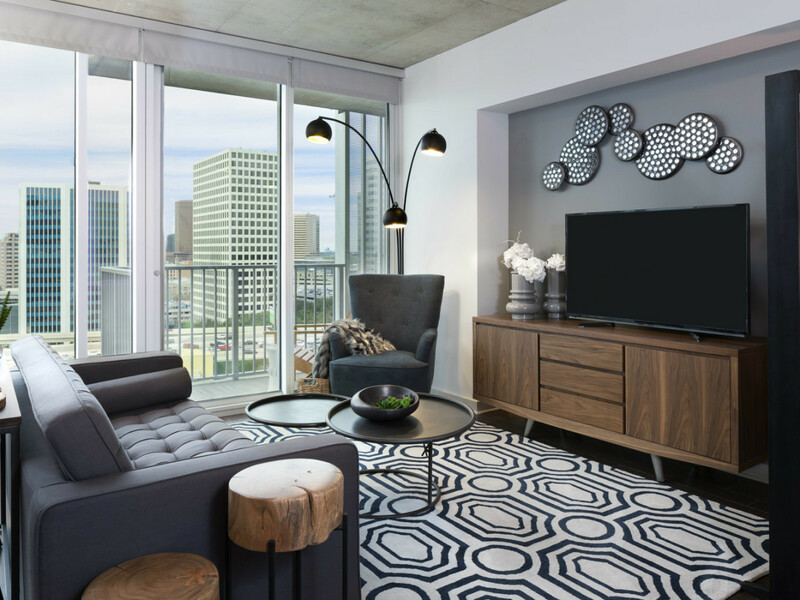 It's within walking distance to Memorial Park, Highland Village, Uptown Park, and the Galleria, and mere steps from the River Oaks District, the city's most fashionable new retail, dining, and entertainment destination. 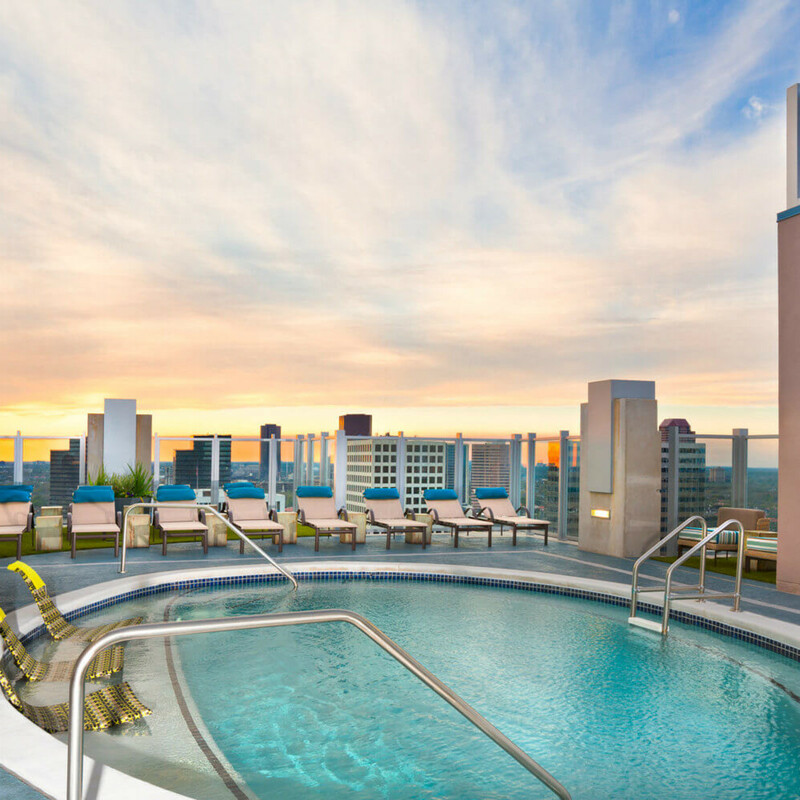 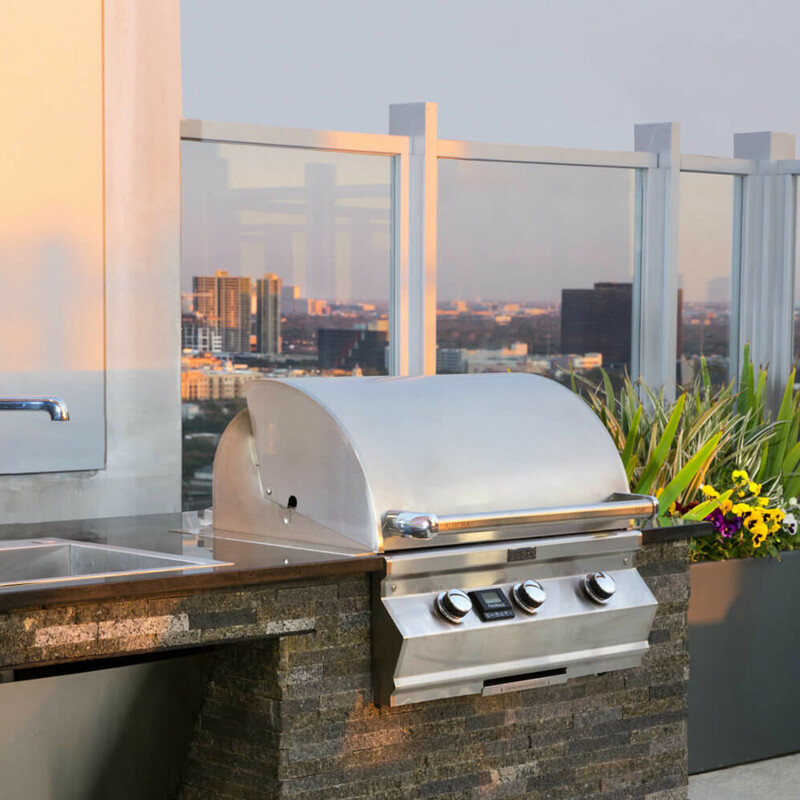 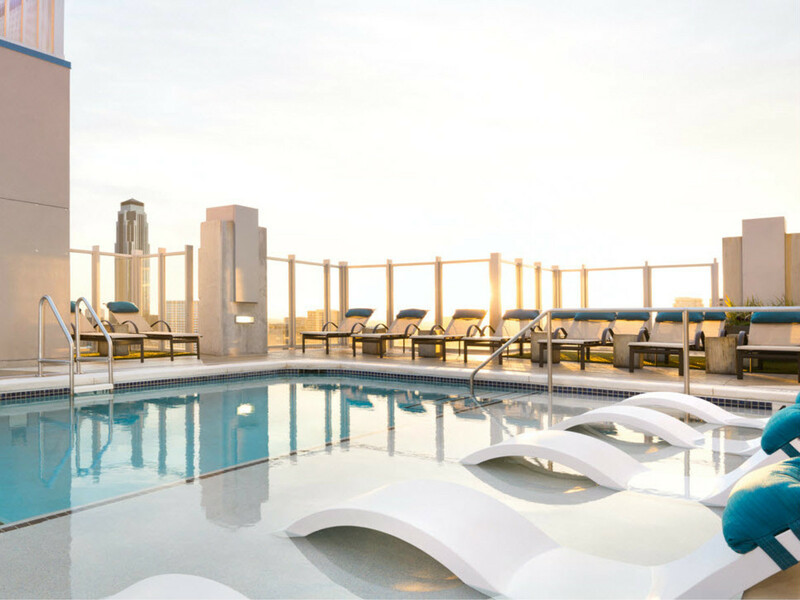 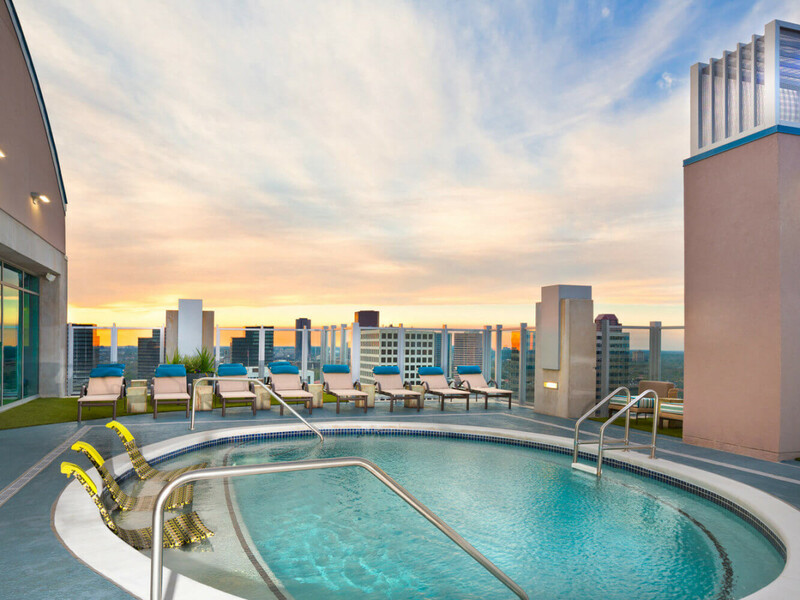 But when you're ready to relax, zoom up to SkyHouse's rooftop and enjoy the downtown Houston skyline in its 360-degree beauty. 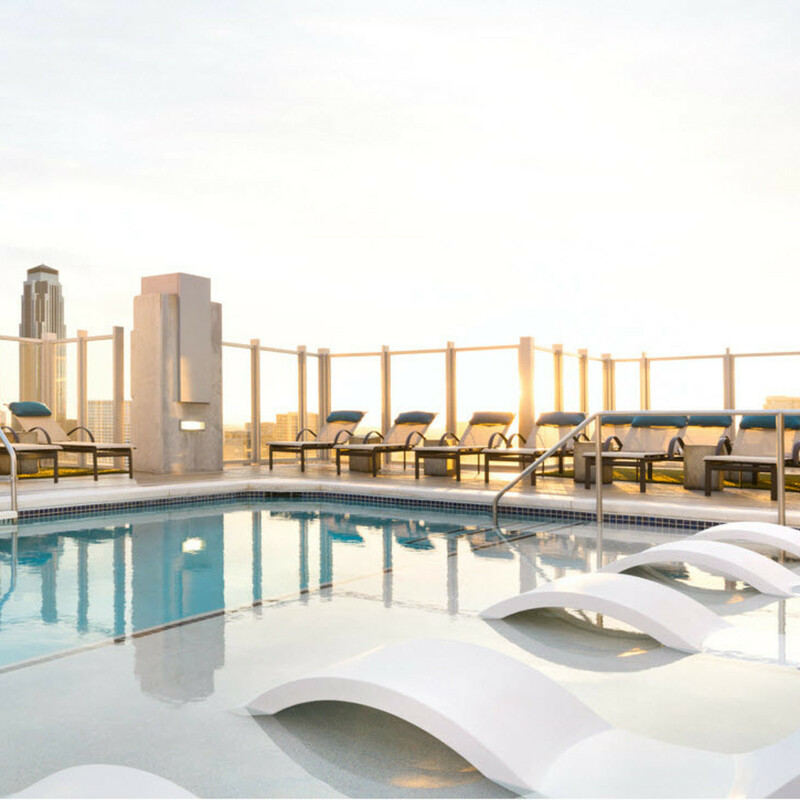 Two sparkling pools with fully outfitted cabanas and an outdoor kitchen round out the incredible views. 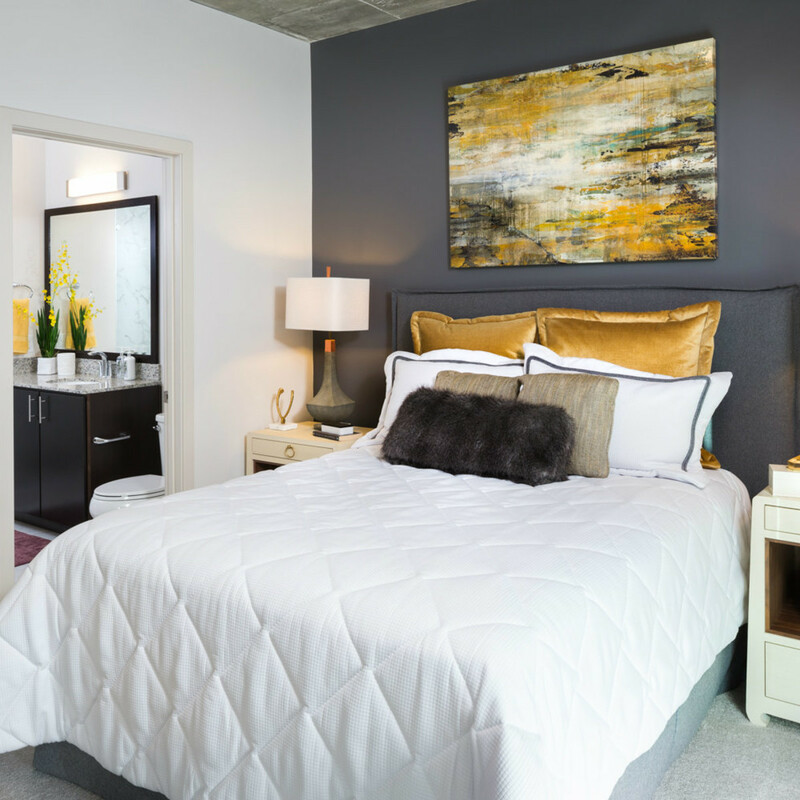 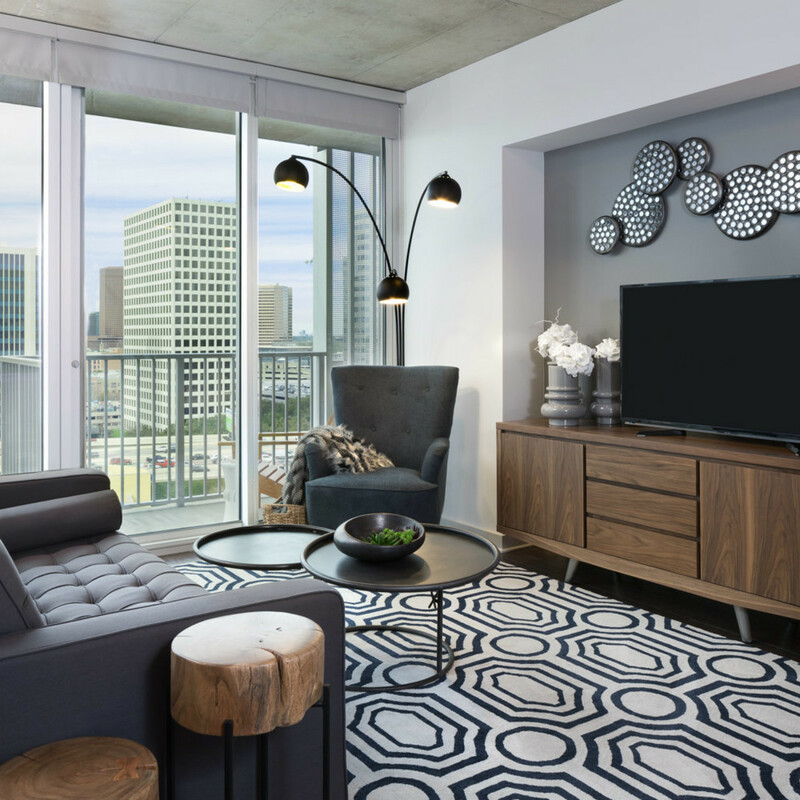 The interiors are just as impressive, with upgraded finishes and high-end touches in the studio, one-bedroom, and two-bedroom layouts. 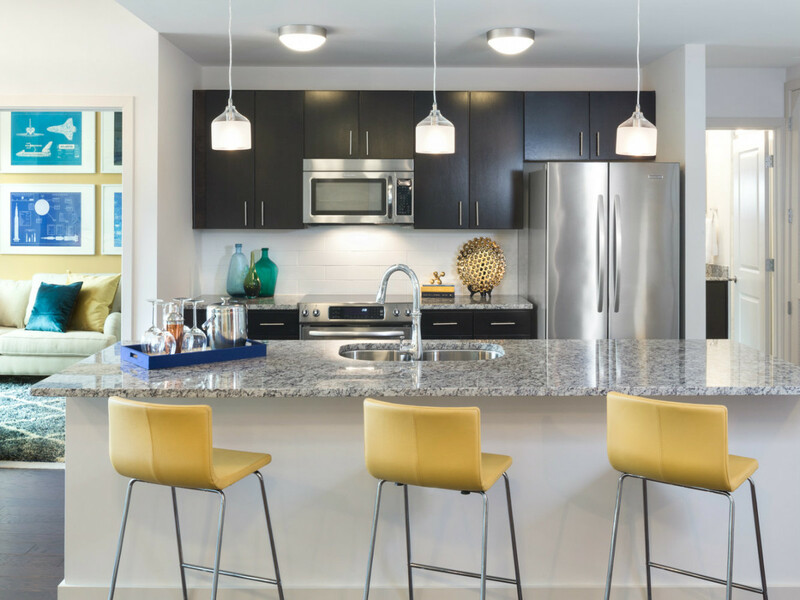 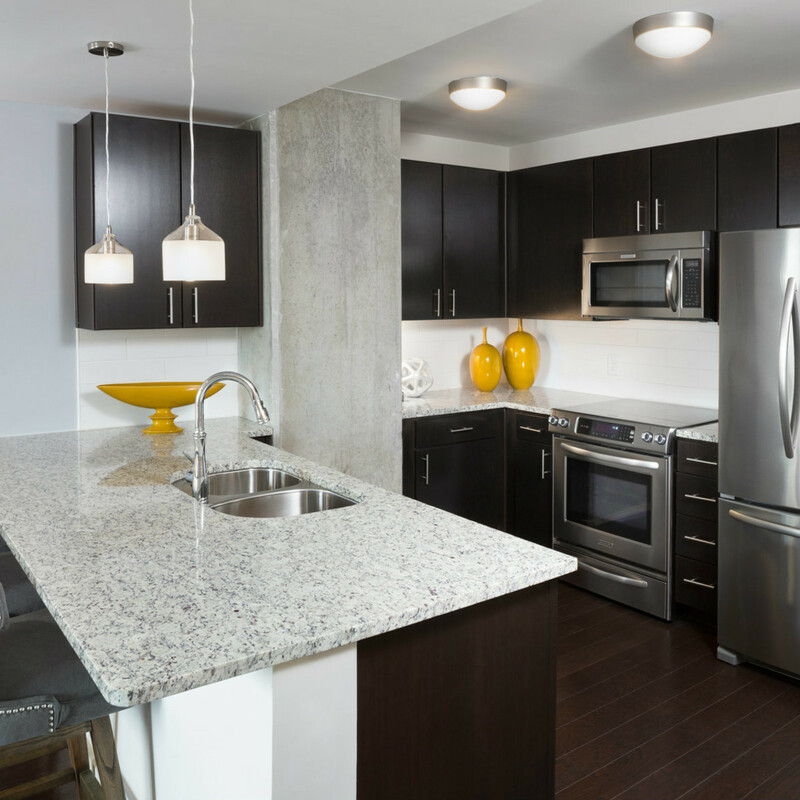 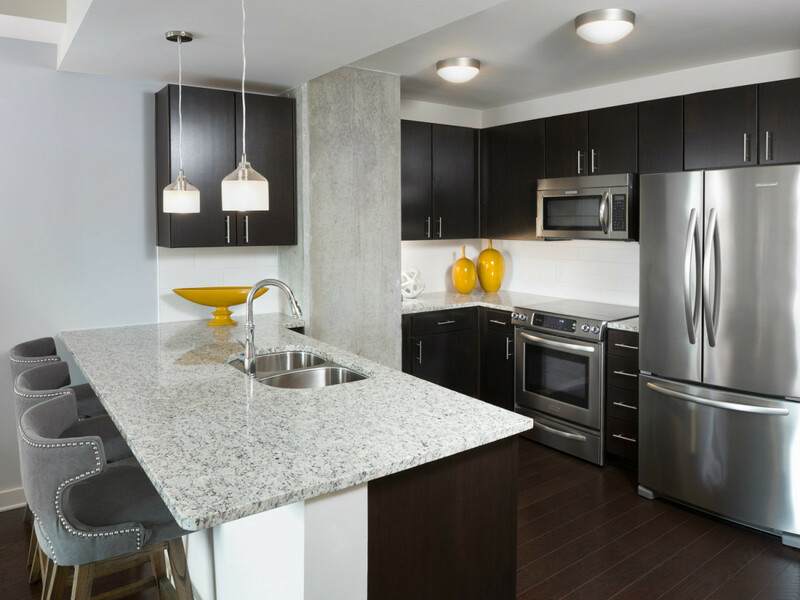 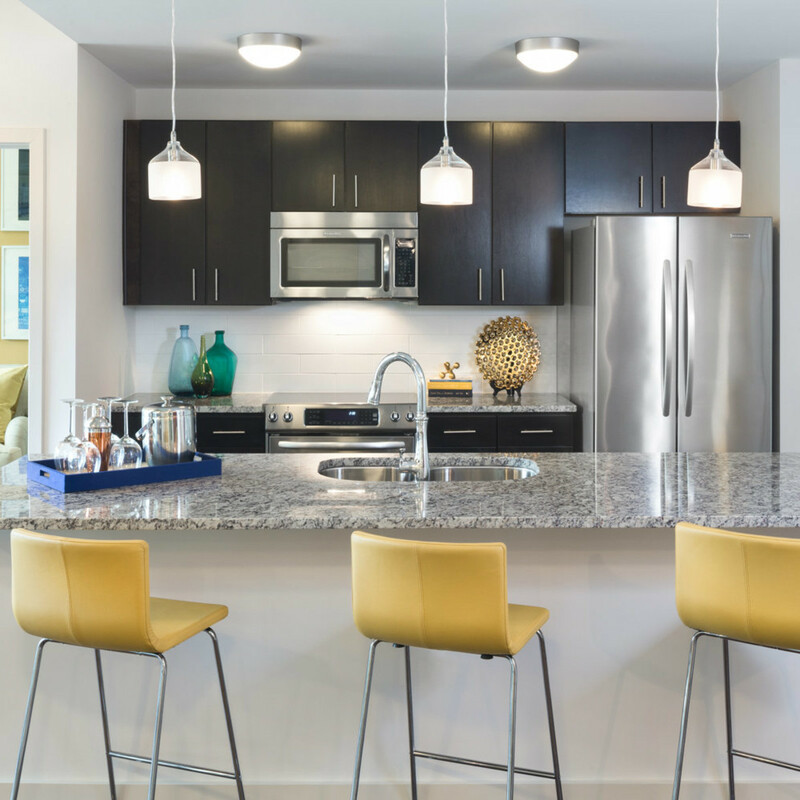 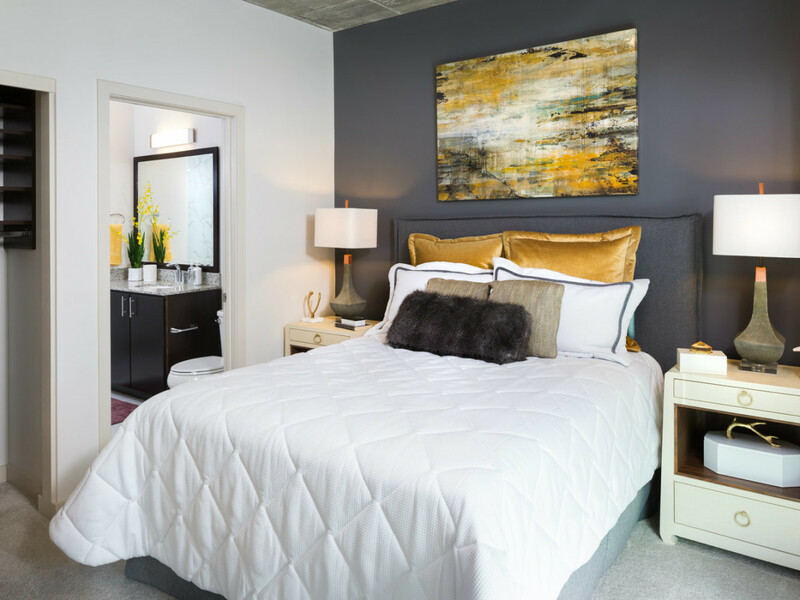 Stone countertops, stainless steel appliances, Shaker-style espresso cabinets, spa-like bathrooms, and floor-to-ceiling windows with solar shades are just a sampling of the perks found in each unit. 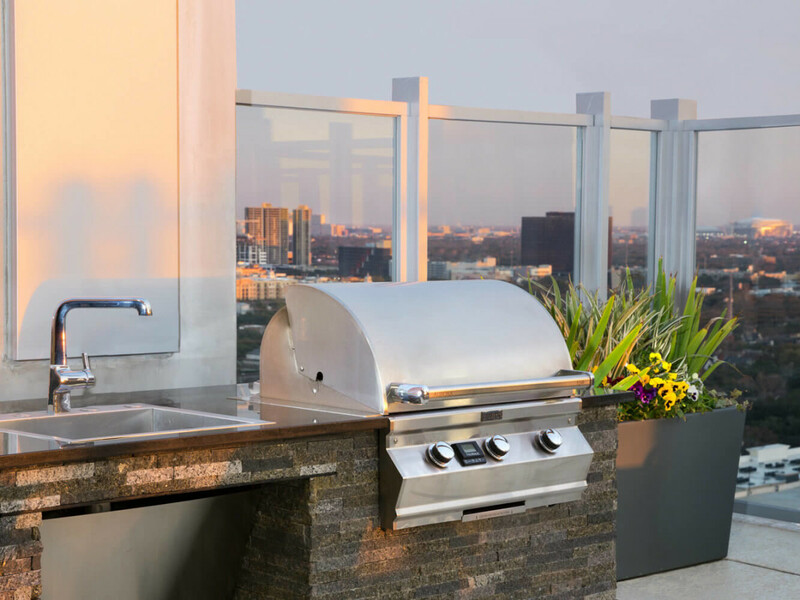 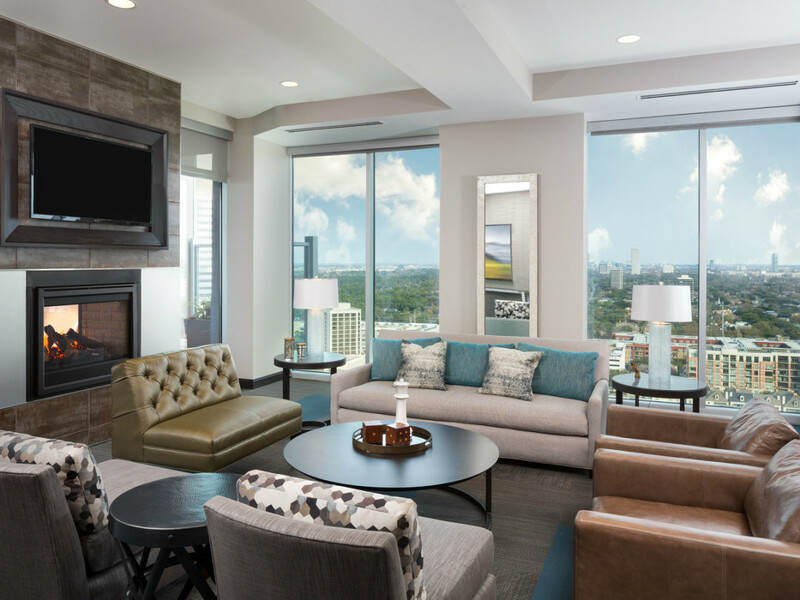 It's such a sophisticated setup, in fact, that SkyHouse River Oaks has become the solution for homeowners who are undertaking extensive renovations in their primary homes. 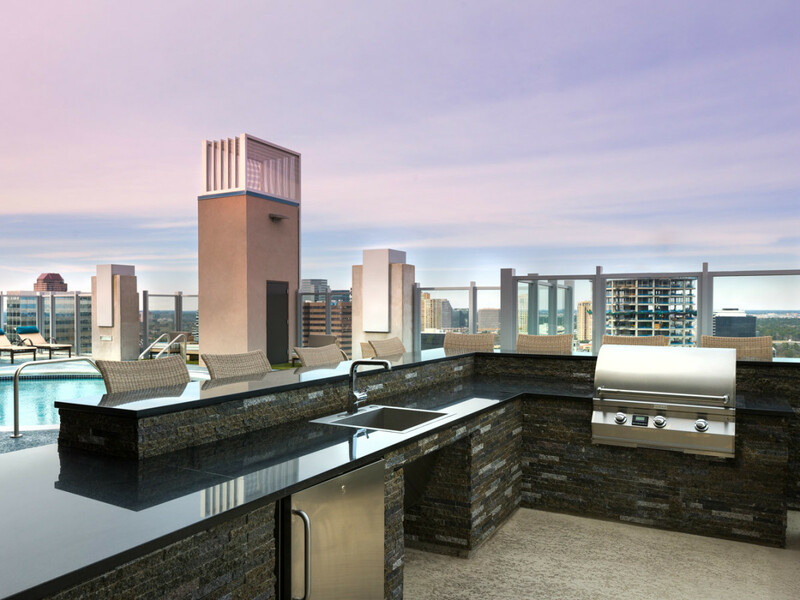 Rather than getting buried in dust and debris, the owners can de-camp to SkyHouse for a year or two of easy, luxurious living, complete with immediate access to Glow Spa & Nails on the ground floor, valet parking, and a mobile car wash service. 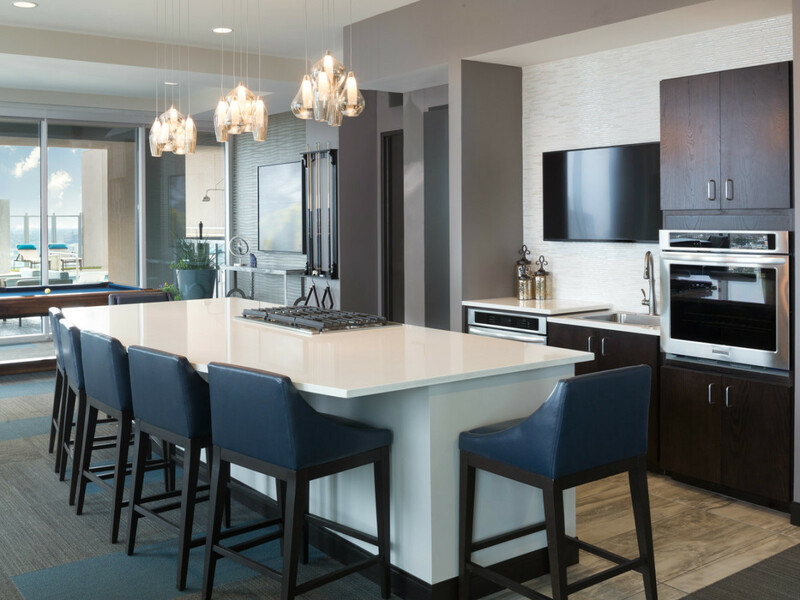 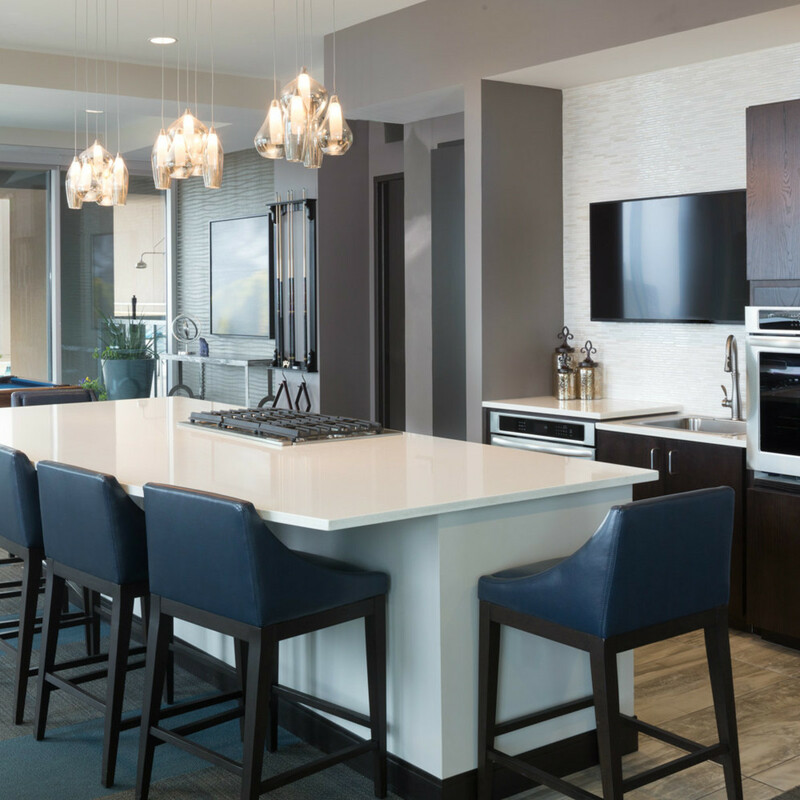 Suburban dwellers, too, are choosing the high-rise when it's time to get a pied-à-terre in the city, joining the young professionals who were also drawn to SkyHouse's unmatched combination of amenities and location. 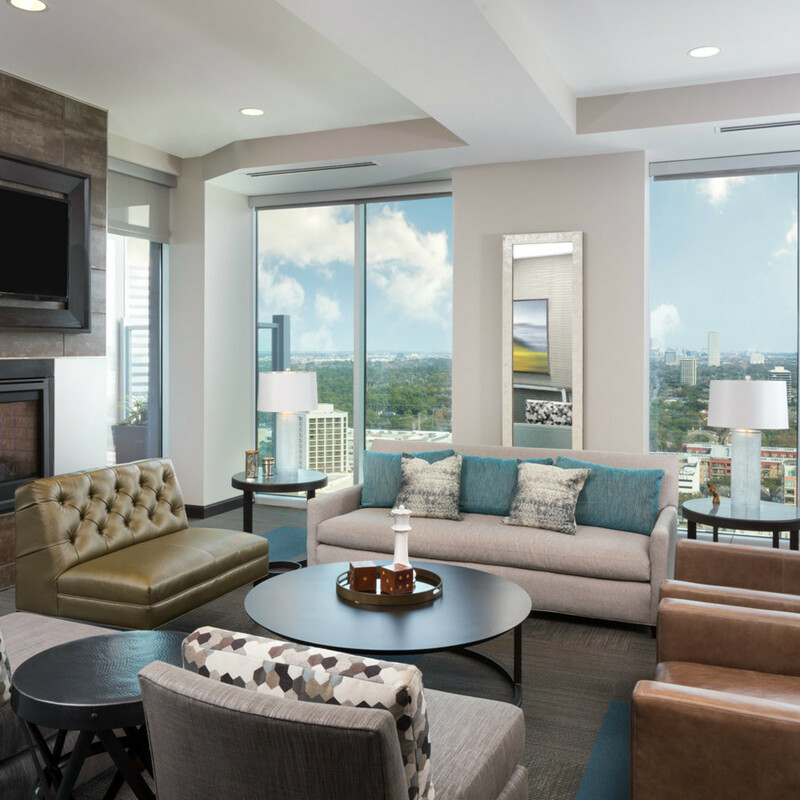 No matter your reason for seeking out SkyHouse River Oaks, you'll be glad you did.